Many clients have large IRAs and retirement plan accounts and need special estate planning for these assets. A 2009 study by the Investment Company Institute found that retirement plans account for 34% of all household financial assets, up from 14% in 1978; IRAs alone account for more than 10% of all household financial assets; and 47 million U.S. households have IRAs. Compare these numbers to the approximately 4,000 estate tax returns that will be required to be filed annually under the new “permanent” estate tax exemption of $5 million adjusted for inflation, and it is easy to see that planning for retirement accounts presents a more significant opportunity for the estate planning advisory team than does estate tax planning. Clients want to protect their IRA and retirement plan assets for their families, but most do not understand what can happen to those accounts after they die. And, unfortunately, much of the information plan owners and beneficiaries receive from family members, other lay sources, and, surprisingly, even some advisors is outdated or incorrect. Without proper planning, trillions of dollars in IRAs and qualified plans that are passed down to clients’ beneficiaries upon death could be exposed to the beneficiaries’ creditors and other beneficiary-associated risks. By using specially designed IRA trusts, the plan owner’s beneficiaries can be protected from creditors, predators, and the temptation inherent in “found” money and thus ensure that the beneficiary achieves the maximum tax deferral that the client intends. In this issue of The Wealth Counselor, we will explain some of the rules about retirement plans that every member of the advisory team must know and how a properly prepared retirement plan trust (which we will here refer to as an “IRA trust”) can protect the plan assets after the owner’s death. Qualified retirement plans, including SEP and Simple IRA plans, are protected under ERISA, but traditional, Roth, and inherited IRAs are protected under state laws, which vary greatly. For example, during the original IRA owner’s lifetime, protection can range from unlimited protection to a specified dollar amount or, as in California, to an amount reasonably necessary for the owner and any dependents. Protection for inherited IRAs may be different than that provided to the owner. 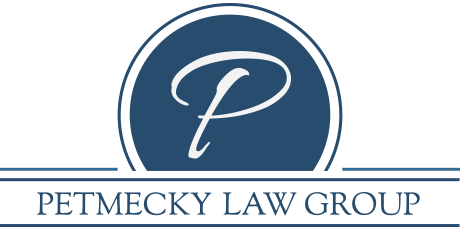 This varies from state to state and is determined by the beneficiary’s state of residence when the protection question arises. Therefore, only the surest result is obtained through good, proactive planning. Planning Tip: It is critical to understand how the laws in your state apply to an original owner and to someone who has inherited an IRA. You cannot assume that the beneficiary residing in another, often currently unknown state will have the same asset protection as the owner or a beneficiary residing in your state. We have all heard of the result of studies of how fast the average beneficiary goes through life insurance proceeds. Spending “found” money simply does not carry the significance of spending one’s own hard earned money. An IRA or other retirement account passing to an individual beneficiary is also “found” money and just as slippery. IRAs and other retirement plans offer the substantial tax benefit of income tax deferral. Stretching out the inherited retirement plan’s distributions over a beneficiary’s actuarial life expectancy yields a much greater return than if the beneficiary cashes out the plan and pays taxes immediately on the full distribution plus on any future earnings on those assets. Planning Tip: It can be very helpful to have a chart or calculator that illustrates to clients the benefits of income tax deferral based on his/her actual account balance, actuarial life expectancy, and beneficiaries’ ages. Any inheritance, including assets in an inherited IRA, are considered “resources” for determining SSI/Medicaid eligibility. At least temporary loss of SSI/Medicaid or other government benefits by a disabled beneficiary is hard to avoid if there is more than $2,000 in the inherited IRA. Planning Tip: Assets held in a properly drafted IRA trust can provide much better protection and ensure maximum stretch out. There are different life expectancy factors for different account holders. That from the Uniform Table is used for an owner’s lifetime distributions. (This table recalculates life expectancy every year so that even someone age 110 has a life expectancy and will not be required to empty the account.) However, if the owner’s spouse is the owner’s sole beneficiary and is more than ten years younger than the owner, the Joint & Last Survivor Table is used instead of the Uniform Life Table during the owner’s life. The Single Life Table is used by all qualified beneficiaries after the owner’s death. Planning Tip: When working with a qualified plan, be sure to read the plan agreement and become aware of optional plan provisions. If the custodian is not willing to do what the client wants, consider changing to a new custodian where possible or rolling the account assets into an IRA. Only a surviving spouse can rollover an IRA (or qualified plan) into his/her own IRA. Once rolled over, the IRA is treated as if all contributions to it had been made by the surviving spouse. In other words, the surviving spouse uses the Uniform Table to determine RMDs, which must begin by the surviving spouse’s RBD. Planning Tip: A surviving spouse can defer a rollover indefinitely. If the surviving spouse is younger than 59 ½, rolling over before attaining age 59 ½ risks incurring the 10% early withdrawal penalty. In such cases, consider establishing an inherited IRA and rolling over when the surviving spouse attains age 59 ½. If the surviving spouse is the sole beneficiary, his or her RBD from the inherited IRA is the same as was his or her deceased spouse’s RBD. A non-spouse beneficiary is now allowed to do a trustee-to-trustee rollover of a qualified plan to his or her own Inherited IRA. NOTE: All inherited IRA accounts must be titled in the original owner’s name for the benefit of the beneficiary (e.g., Mary Smith, Deceased, IRA f/b/o Jim Smith). Anything else is considered a 100% taxable distribution. The advantages of using trusts in general include spendthrift protection, creditor and predator protection, beneficiary divorce protection, special needs planning, consistent investment management, estate planning, and exercising control over the trust assets after the death of the trust maker. Disadvantages of trusts include greater complexity; legal, accounting and trustee fees; and for trusts that are not required to distribute all their taxable income, greatly compressed income tax brackets (the 39.5% top income tax bracket for individuals begins at $400,000, for such trusts it begins at $11,950). 3. Have beneficiaries all of whom are individuals who are identifiable from the trust instrument when considered on September 1 of the year following the owner’s death. In addition, the documentation requirement for a trust beneficiary must be satisfied. Planning Tip: A single revocable living trust would meet requirement #2 because it becomes irrevocable upon the trust maker’s death. However, unless it contains a “conduit” provision, discussed below, a single RLT is unlikely to satisfy requirement #3. A joint revocable living trust would not satisfy requirement #2 because it continues to be revocable until the death of the second spouse. For these and many other reasons, a specialized IRA trust is a preferable IRA beneficiary. Planning Tip: The documentation requirement is fairly easy to satisfy, but it is vital not to miss the documentation deadline. The trust document must be provided to the account custodian by October 1 of the year following the owner’s death. An accumulation trust is one in which distributions from the inherited IRA may be kept within the trust rather than being distributed to the beneficiary(ies). That way, the trust assets have more protection against creditors and predators. This also more easily allows the beneficiary(ies) SSI/Medicaid eligibility to be preserved. On the other hand, an accumulation trust is a separate taxpayer and is subject to the compressed income tax brackets for undistributed income. Plus, the risk of the trust not being a designated beneficiary (and thus able to take advantage of the stretch) is greater because all beneficiaries have to be considered except those who are “mere potential successor” beneficiaries. Example: The owner’s child is the primary beneficiary and a charity is the contingent beneficiary. With a conduit trust, the charity would not be counted and the child’s life expectancy would be used to determine the trust’s RMDs, which would produce maximum stretch out and tax deferral opportunity. With an accumulation trust, the charity would be counted and the trust would not be a “designated beneficiary.” That would cause the trust’s RMDs to be determined using the five-year rule or the owner's ghost life expectancy, depending on whether the owner’s death occurred before or on/after his or her RBD. In PLR 100537044, the IRS permitted a one-time “toggle” from conduit to accumulation trust. Having such a provision could be important if there is a change in circumstances of a beneficiary (disability, drug problems, etc.) between the time the owner set up the trust and September 1 of the year following the owner’s death. In the “toggle,” any general power of appointment given to a beneficiary must be converted to a limited power of appointment, which can create a Generation-Skipping Transfer Tax issue. Planning Tip: Consider giving the Trust Protector the “toggle” power in any IRA trust to provide flexibility to deal with possible future events. A separate IRA Trust is more likely to qualify as a designated beneficiary than is either a non-conduit RLT or trust established under a will. Commonly encountered issues with using RLTs and trusts in wills as IRA/retirement plan beneficiaries include the possible adverse effects of formula funding clauses; pecuniary clauses and recognition of income; powers of appointment (can expand the class of potential beneficiaries); adoption effect clauses; provisions for payment of debts, taxes and expenses; apportionment language/firewall provisions; older or unidentifiable contingent beneficiary(ies), and non-individual remote contingent beneficiaries. IRA trusts can contain credit shelter and QTIP trusts for the benefit of the surviving spouse. Proper structuring of the beneficiary designation allows for disclaimer planning for the spouse and other beneficiaries. Note that no further stretch is allowed after the death of the spouse with regard to IRAs not rolled over to the surviving spouse’s own IRA by instead going to a credit shelter or QTIP trust established by the IRA owner. Planning Tip: The general treatment for disclaimer planning is 1) spouse; 2) if spouse disclaims, IRA trust (for funding of credit shelter/QTIP); 3) if spouse is deceased, to the separate IRA sub-trusts for descendants, per stirpes. Also, children can be given the power to disclaim so that IRA distributions can be stretched out over the owner’s grandchildren’s lifetimes. Custom-drafted beneficiary designations are required to allow proper disclaimer planning and separate share treatment. (See planning tip above.) However, some IRA custodians will not accept custom beneficiary designations and insist on using their own forms, especially for “smaller” accounts (those under $500,000). In such cases, giving the custodian a choice between losing the account to a more reasonable custodian and accepting the proposed custom beneficiary designation may produce the desired result. Naming a separate IRA trust as designated IRA or retirement plan beneficiary is preferable to naming beneficiaries outright. It ensures that the client’s goals are carried out, including that the client’s beneficiaries will use the IRA stretch out potential. It provides asset protection against predators, the beneficiaries’ creditors and loss upon divorce. It can provide bloodline protection, preventing unintentional beneficiaries and disinheriting of descendants. It provides for beneficiaries who have or later develop special needs without jeopardizing their valuable government benefits. And it can even keep the IRA assets under the client’s current advisor’s management. Each client’s situation is different. For IRA trust planning, individual, case-by-case analysis with input from all advisors is essential. With so much outdated and incorrect information about IRAs and IRA planning being tossed around, current and knowledgeable advisors will stand out and prove invaluable to both clients and the other members of the advisory team.